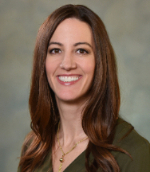 March 20, 2018 (Beloit, WI) – Jessica Hendon has joined Blackhawk Bank as Vice President, Physical and Information Security. With over 14 years of professional banking experience, Hendon specializes in back office operations, fraud prevention and detection, human and facility security, and risk management. Jessica joins Blackhawk Bank from Alpine Bank, where she has worked since 2004. She has a Bachelor of Science degree in Finance and a Master’s degree in Business Administration, both from Northern Illinois University. She is a Certified Financial Services Security Professional and has participated in many professional development forums, including Rockford’s Leadership Alliance, FS-ISAC Spring Summit, and the Banker’s Hotline Security Conference. Hendon is an active member of many local organizations, including Alignment Rockford and Northern Illinois Financial Crimes Investigators, among others. Jessica’s education, experience, and advocacy for community involvement will make her a great asset to Blackhawk Bank.